We don’t accept submissions of works that have been fully produced in a professional venue in the UK. However, we are happy to receive work that has been previously presented in its developmental stages (i.e. : a reading or a scratch process). We only accept full-length plays (60 minutes or longer) that are inherently theatrical with live staging at their core. Please do not send us scripts for radio, film or television. We don’t accept submissions of adaptations of other works. We are excited by plays that pose a strong question and examine it from varying viewpoints or perspectives. We encourage the submission of plays that are contemporary and pertinent – that relate to the experience of belonging to the present time. 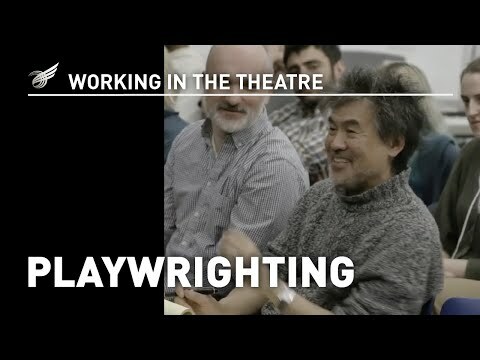 We are looking for plays that stimulate discourse and examine events openly and honestly, not from a distance – but by a conscious consideration of the parts comprising an interconnected whole. We are interested in plays and writers that thoroughly investigate an experience that’s specific and yet shared in a manner that speaks to a varied audience. We actively seek writers that challenge the conception of form – plays that re-examine structure, setting, time, place, dialogue and character, and strive for innovation. We want to engage with writers who will fully immerse themselves in the collective creative process, who reject the notion of an insular practice and embrace collaboration. As a partner of the Theatre’s Trust Ecovenue scheme and with sustainability as a key consideration, we do not accept paper submissions. We only accept electronic submissions. Our primary resource for this is www.bushgreen.org. If you are not a member, please do sign up. Alternatively, scripts can be emailed to us at scripts@bushtheatre.co.uk. We are not able to respond to any enquiries sent to this inbox. All submissions must be accompanied by a completed Writer’s Form. Please download this form from website, and copy and paste it into the first page of your script before submitting via bushgreen. We reserve the right to return any script that we feel does not actively engage with the submissions policy or where we feel the submissions policy has not been fully considered. Please do not send second drafts or resubmissions of works we’ve previously responded to, unless we’ve specifically asked for it.